I've called for Dundee City Council to make real progress on the Living Wage. In March the City Council agreed to implement the Living Wage for all City Council employees and to promote the Living Wage to arms-length organisations and to those who enter into contracts with the City Council. I'm looking for Dundee City Council to respond positively to the consultation on the proposed Members' Bill from John Park MSP in the Scottish Parliament on the Living Wage (Scotland) Bill which would require private sector employees working on public sector contracts to be paid the Living Wage and/or require the Scottish Government to prepare and report to the Scottish Parliament on a strategic plan to promote the Living Wage. 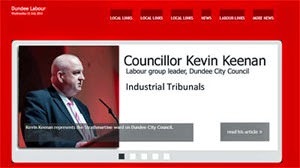 I was very pleased that Dundee City Council agreed to adopt a Living Wage policy back in March. Labour had been leading the way with calls for this. I think that the time has come to implement the policy. I sought an update on the policy and have been told that a report is being written, that is very good but it is action that is required. People should be getting this extra cash in their pockets sooner rather than later and I would like to see it in pay packets before Christmas, of all nine months after the policy was agreed. The council should be giving a moral lead in paying at least the Living Wage to all its employees and looking for ways to encourage, cajole and even insist that contractors pay the Living Wage. The council should be concerned about the way companies it gives business to behave. We are rightly concerned about the health and safety record of such companies, for example, therefore I think that it is only right that we have concern about their wage rates. The council invests huge amounts of money on behalf of the people of Dundee it is morally right that the people of Dundee benefit from the money spent on their behalf. I want the council to bring forward this report on the implementation of the Living Wage sooner rather than later and I want the council to give a strong lead to the city and to say that the Living Wage should be paid right across the city. I have written to the City Council's Chief Executive asking that the council responds to the consultation on the Living Wage (Scotland) Bill, which would require private sector employees on public sector contracts to be paid the Living Wage and that the Scottish Government implements a strategic plan to promote the Living Wage. Six out of ten poor children in Scotland live in families that suffer from in-work poverty. There is a commitment from a range of public sector bodies, including Dundee City Council, to pay their employees the Living Wage but this must go further. Over half a million Scots still do not earn the Living Wage and it is time that changed. As some readers may know I am member of the Northern Regional Committee of Scotmid Co-operative. 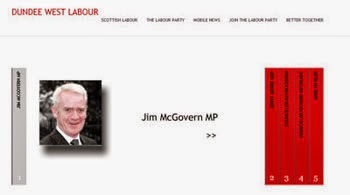 In this role I represent members of the Scotmid Co-operative Society. One of the things that the society does is to give grants to local communities. Earlier this week I was pleased to be on hand to celebrate one of these grants. 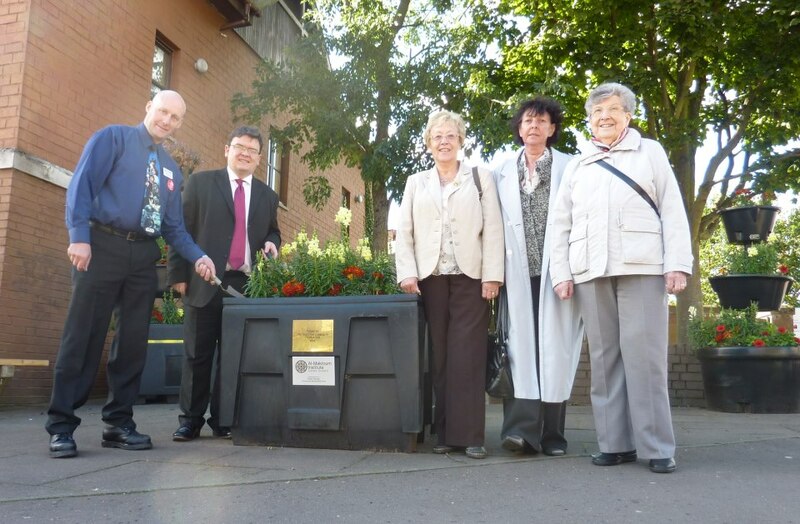 The grant had been given to the Pennycook Lane and Sinderins Court residents and paid for plants at the seating area they have developed across from Blackness Primary School in the West End. You can find out more about Scotmid's Community Grants in the video below or by clicking here. Last week I helped out on polling day at the by-election in East Dunbartonshire Council in the Campsie and Kirkintilloch North ward. I was very pleased to help Gemma Welsh get elected as a Labour councillor for the area. I really enjoyed myself on election day, I was brought up in Milton of Campsie which is in this ward, so I found myself knocking on doors in Milton and in Campsie (Lennoxtown) of people I knew, some of whom I had been a school with. It was a real trip down memory lane for me. 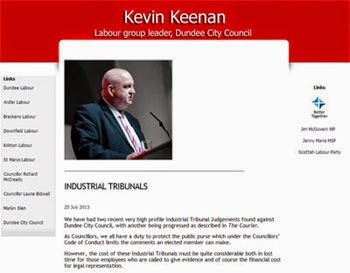 The by-election was caused by the death of Councillor Charles Kennedy. Charles was a friend of mine and I was really sorry to hear of his death. One of my first political experiences was leafleting with Charles in the 1987 General Election. Whilst I was a pupil at St Ninian's High School in Kirkintilloch, I pestered Charles to help me with various Modern Studies projects and I am glad to say that I was also helped in these projects by Charlie (now Sir Charles) Gray and Tom Clarke MP. This is one reason why I am always happy to try and help students who ask me as a local councillor to help them with projects for school, college or university. Charles Kennedy was a stalwart of the Labour Party in Milton of Campsie when I was growing up and I was always impressed by his commitment to serving our local community at that time. This is something that has hopefully influenced me in my work as a local councillor. Kevin McKenna has written a very interesting piece in the Observer on his work with Charles Kennedy a few years before I was politically active. It is a shame that Charles Kennedy ended his political career outside the Labour Party and I am very sorry about that. I know that Charles was always pleased to hear tales of my work as a Labour councillor in Dundee, so I think that his heart always remained in Labour. 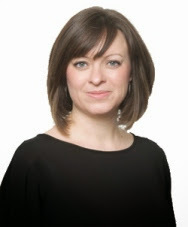 I would like to wish Gemma Welsh all the very best in her new role as one of the councillors for Campsie and Kirkintilloch North. She has a hard act to follow but I am sure that she will enjoy representing the people of Kirky and Campsie. Charles worked hard for his local area and put the interests of his constituents first in everything that he did, that's not too bad a target for every councillor. 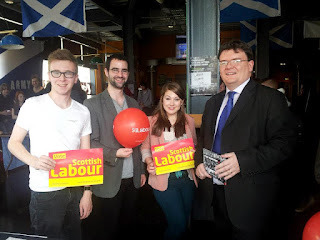 I was really pleased to join members of Abertay University Labour Club and Scottish Labour Students recruiting new members at the University of Abertay Dundee Freshers Fayre. There was a really good response with lots of students very interested in the work of the Labour Party and Labour Students. It was good to speak to a number of students and listen to their concerns. It was good to see that the Labour Club is the only political society at Abertay University. It is also good to visit Abertay which is still an independent university. Along with a number of council colleagues I attended a briefing held by the Federation of Small Businesses Scotland. It was a good opportunity to hear from the FSB and their members. It is important that councillors listen to people in all sectors of the economy. My Labour colleagues and I are committed to listening to the concerns of everyone in Dundee. The council can do much to promote small business. We need to make sure that we are doing all that we can to promote businesses. It was good to hear about concerns about procurement by councils. I will be raising this issue with the council. 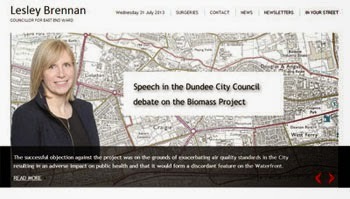 The council should be making sure that its investment in goods and services delivers for the community in Dundee. The council should be looking to deliver jobs and this can be done by investing in the local community. Bringing jobs to Dundee and protecting jobs in Dundee is my top priority I know that jobs will bring prosperity to our city. 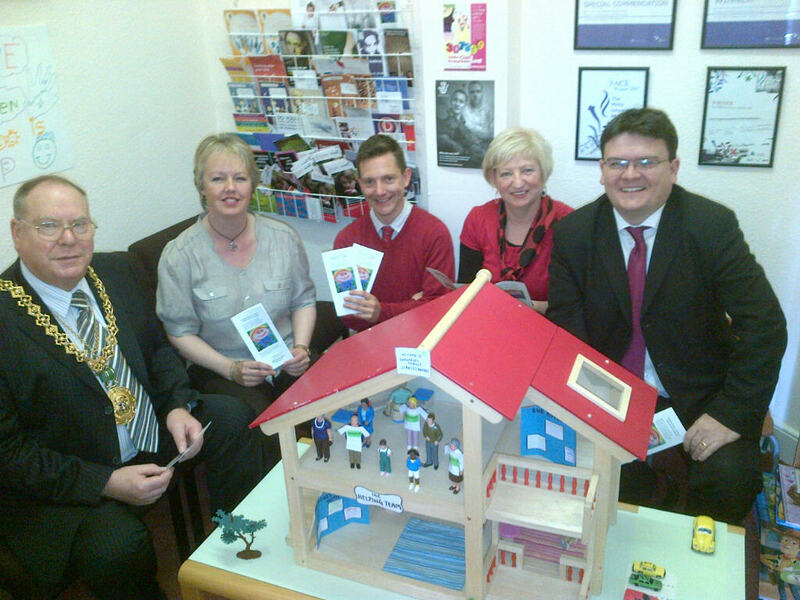 I was pleased to join the Lord Provost, and other council colleagues, visiting Barnardo's Family Service Dundee today. This service is based in Fleuchar Street in the West End. It is dreadful that these services are required but it is an unfortunate fact of life that these services are required. It was good to get the opportunity to listen to the workers and some service users speak about their work. 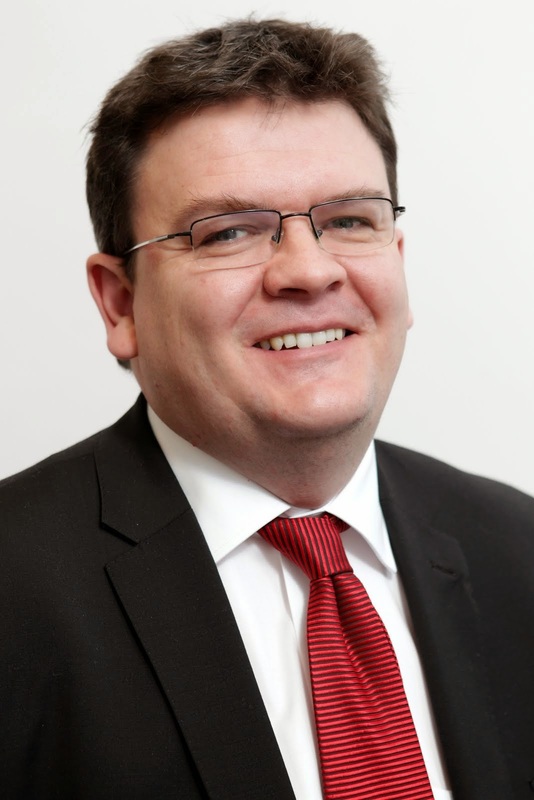 I am very clear that as a local councillor I have a role to play in supporting families, children and young people. Many of the issues which Barnardo's are working with can have a long-lasting impact on the life chances of young people. It is important that every young person in Dundee has the best possible start in life. If children and young people do experience problems then collectively we should work to try and solve or at least alleviate these problems. 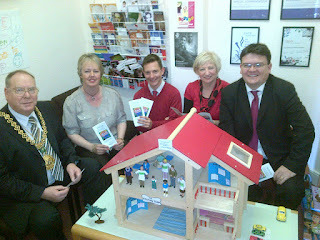 I was very impressed by the work of Barnardo's and it was good to get the chance to hear more about it. It highlighted for me the need to get it right for every child in Dundee. Tonight the City Council's Development Management Committee considered a few planning applications; I suspect that the one for the V & A at Dundee building will be the one with the longest lasting impact. 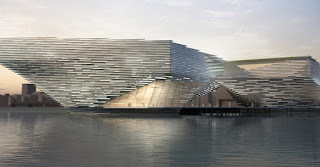 I welcome the approval of the V & A at Dundee's planning application. I think that this development will be a great one for the city. I look forward to work starting before too long and I hope that this will bring jobs to many local people. I also look forward to this iconic building providing a home for an iconic British institution in the heart of our city. I wish the project every success. If you want to find out more about the V & A at Dundee building click on the picture and visit the V & A at Dundee website. The Development Management Committee also considered a number of other applications, including deferring a decision on proposals for offices and a hotel in the Dunsinane Industrial Estate. I was also pleased to see that the committee agreed the proposals to replace the lights within Baxter Park. I was also concerned to see a report where an application was made to change a Section 75 consent on student accommodation just outside the West End. Section 75 agreements allow the council to put conditions on future use of a building with the agreement of the developer and operator. I am concerned that there appears to be a diminution of the effectiveness of Section 75 agreements. In the West End Section 75 agreements have been used to limit flats being used as Housing in Multiple Occupation; I think that on the whole this has been good for the community in the West End.